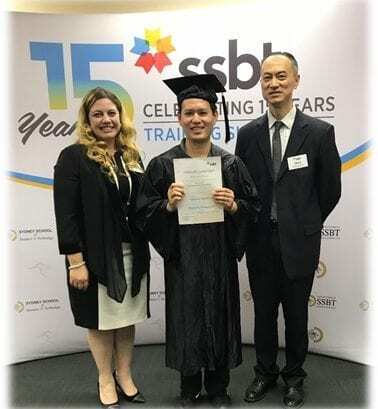 Over the past I studied 2 years at SSBT. I gained knowledge and a high quality of educational. This was a great experience and I learned new things with the training in the class room; I enjoyed the discussion groups, and interactive presentations. I had many friends from other countries. I felt my English developed very well. I would like to say thank you to all trainers and the SSBT Team who took good care of all students. I am very proud to have graduated, It will help me with my future career. I have great memories, thank you! Best vision, Great future and education, choose to study at SSBT.